Yes I did do one once, it really helped. Ironically that story isn’t finished yet! I’m not sure if I would do it again though. Only because I’d want professional ones and I don’t want those till I finish a couple of drafts, because I wouldn’t want to risk having to pay for significant changes – guess that’s a problem with being a pantser. After months of searching I finally found my designer though HURRAH. Just a shame it’s going to break me financially! I thought you made mock ups for your novels. Huh. You are so good at your blog post photos, I would think it would be easy for you to design a quick cover for fun. Yes to the professional covers. Well, at least more professional than I can make. I would never create my own cover for the actual finished product. *shudders* That would be bad. I don’t have a program like Photoshop even if I did know what I was doing. So, ‘Yay!’ for finding a designer. But, yeah, they can be pricey. I made one cover for Adultland. which worked and was awesome for what I needed. But haven’t done another since and not for keepers because what I want is so complicated. I tried to do one for villains and it turned out crap and that demotivated me in a big way. so I think I’ll just leave it to the professionals now. I can’t imagine anything you design as crap but I’ll take your word for it. 😉 I’m going to have to leave the designing to the pros, too. As you can see by my picture on this post. No, Sarah, I didn’t have a cover before I finished the book. 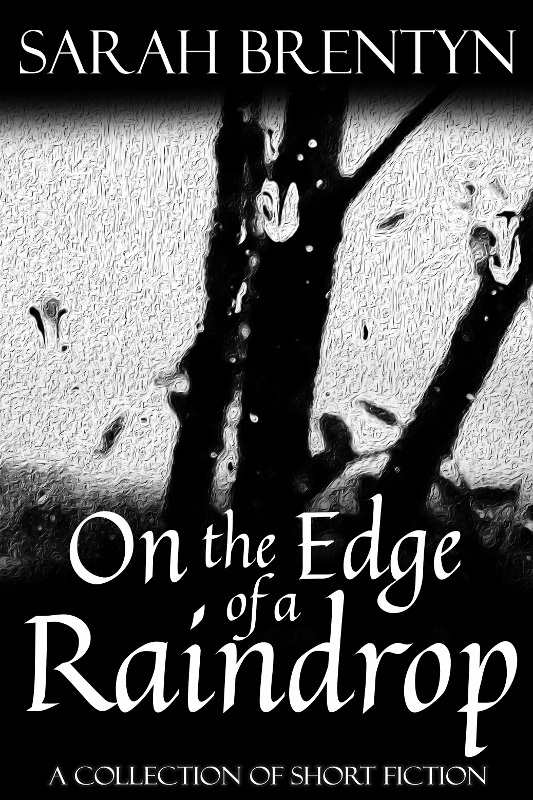 But I had a rough idea of what it would look like, and was delighted with the results my cover designer came up with. Having said that, before I could come up with ideas (even rough ones), I needed to know the tone of the story, even if I didn’t know everything that would happen in it. Funnily enough, mine has trees in it, but the cover is a lot darker. As for the working title, for me that’s a must. You can change it later, but it helps a lot to frame the story and – as you say – when you’re talking about it to others. So, have you got any thoughts on the title yet? Yes, that does make sense. I don’t know what’s going to happen in mine but I definitely know the tone of it. I’m waiting on that one a bit. But, for a collection of shorts, I already know my writing style so that’s a bit different. A title (even a “working title”) is a must for me, too. Exactly. You can always change it. All my books, stories, anthologies, novellas have titles. I just need to see, by The End if they still work. 🙂 The collection of shorts has a title and all will be revealed soon. Ish. Although, it’s starting to sound like I’ve raided a locker room or laundromat. I should stop that. Can we not go there? Is it possible? I knew you would. So predictable. Considering how many book covers are designed by people who never read the book, it is probably best to design the cover first and fit the book to it. You know, for all the people saying you have to work the cover around your completed book, how many covers are designed by people who haven’t even read the book? You’re right. I’ve never written a book so I don’t know anything about how to do it, but imagining the kind of cover you’d like looks like fun. I guess if it helps inspire you, it can’t be bad. Ooh. Before and after shots. That would be fun to see. 🙂 Yeah, I’ve read a lot of writers saying that, too. The cover is the first thing readers see, after all. Cool title, Sarah. I think it’s a wonderful strategy if it works for you. Looking through those pictures gives your creative spark time off to play around in the background and come up with new ideas. Too often when we try to force them, like forcing children to eat vegetables, they just don’t cooperate. 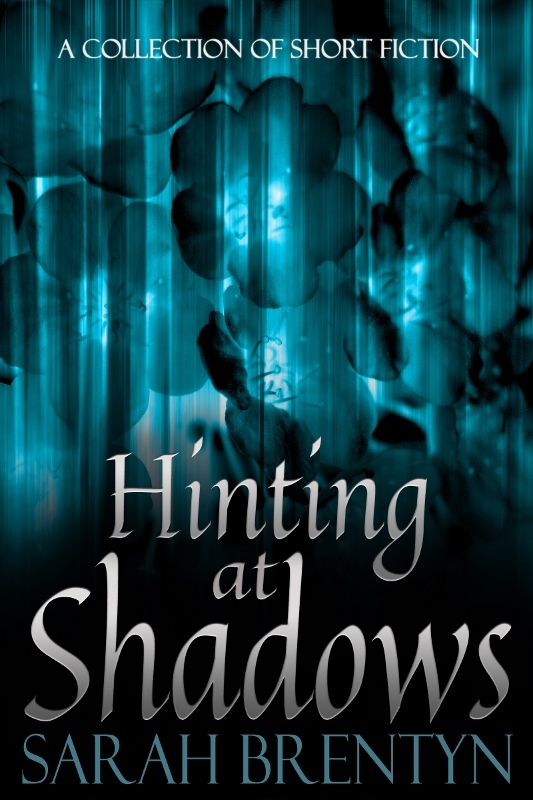 I love your cover, and am intrigued, wondering what might be hiding in the woods among all those trees. I’m looking forward to finding out when it reveals itself. Best wishes for your writing. Thanks, Norah. 🙂 Yes to this! “Looking through those pictures gives your creative spark time off to play around in the background and come up with new ideas. Too often when we try to force them, like forcing children to eat vegetables, they just don’t cooperate.” Too funny. But true. I never create anything worthwhile when I try to force it. Having a cover or an idea for a cover is a great inspiration for writing. I always have my cover images way ahead of time, because I know that the trigger for the story will be. Three chapters into the fourth book and I have the cover image in front of me. You go girl! PS I like this cover! Thank you. It was kind of fun to goof around in Paint but it’s just a picture for the post. It won’t be my cover. I always mock up covers, especially when I am trying to get over the 30K work hump. There is just something about seeing what it could be that helps me keep going. Right? There is something about seeing a cover (your cover) even if it’s not the “real” one. It’s what it might possibly look like and that is motivating. I totally agree with you. I don’t always design it fully, but I’ve usually got a draft of it saved on my hard drive somewhere. It makes the whole project feel more tangible! I don’t fully design mine, either. 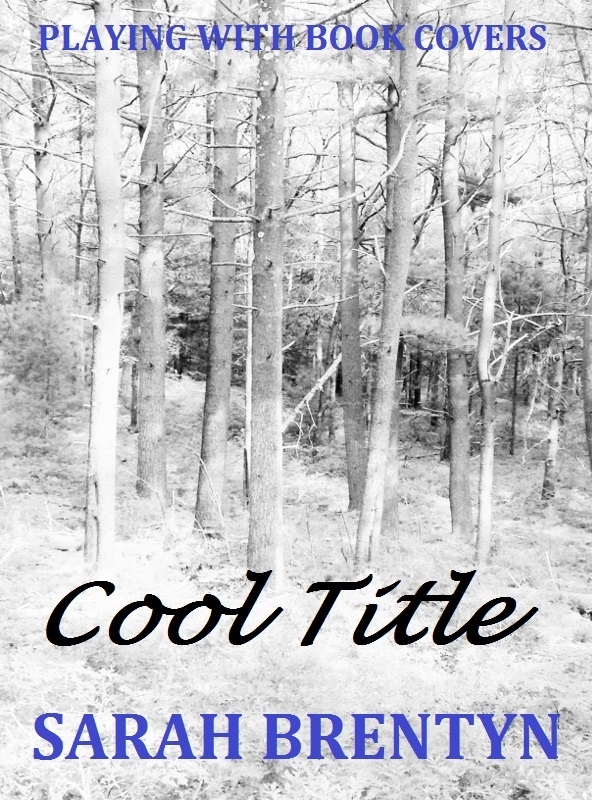 Just a background, maybe my name, maybe just browsing those premade ones and imagining the title on it…. I know, when I do goof around designing one, it’s not going to be my final cover but you are so right. It makes the project more tangible. Exactly! Anything to keep the motivation going! 🙂 Anything encouraging is good. I like that. I have a pretty good idea for the covers though the latest one changed materially several times. I’ve not written to a cover though so that might be the next challenge. So you don’t make a mock up or browse around but you kind of have an idea in your head while you’re writing? Yes! I just said that to your wise and witty brother. (Runs in the family?) We should hold a blog challenge. Writers are given a photo of a random cover from one of those premade design places and they have to write a novel (okay…short story) to fit it. There are some wild covers on those sties. Wicked creepy, sickly sweet romantic… 🙂 I really like that idea. That’s brill. I’m up for it. Surely, you can’t be serious? Hey, if damn it that’s what you wanted, that’s what you should have done! 😉 Ugh, yes, the long conversations and attempts at communicating what you want and hope they understand or can make it happen. I happen to love your covers. They are simple and classic and beautiful. *swoon* Ha! Your cover guardian. Love that. I’d say your wife is a bit of a cover guardian, too. Yeah, visuals are inspiring and I like having them “done” but only in the sense that it has some cool background, my title and name, not that it would work (size-wise or with a specific photo) as an actual cover. I don’t know enough about that stuff. And, yes, yours have worked out beautifully. Haha! “The Captain” 😀 Awesome. I’ll have to look at those ones again. Agreed. Whatever inspires… That. Oh, my…yes, in 2010 I returned from a 3-day writing conference on fire and I designed my cover and tacked it over my desk at work. Two years later I left to finish writing the first draft. I’d say that cover kept me motivated. I like doing things that seem unrelated to the actual writing. I’ve also created storyboards out of magazine pictures to describe the book. Have fun! This is what we do; why must it be painful, structured and full of expectation? Yes! Cheers to fun creativity! Good inspiration! I always have an idea of what my covers will look something like as soon as I have my story line. I have a knack for cover ideas, only my mental creativity is where it stops. I can’t draw or make anything that resembles art, lol. I search photo sites for the elements I have in mind and send them to my book designer with my ideas, and they bring my creations to life. 😀 Same with me. I can imagine what I’d like my cover to look like but my drawing/painting/digital design skills leave much to be desired. That’s where those photo sites come in handy. Send them off to a qualified person with an, “I’d love something similar to this.” Voila. Love and respect for those artists. I have a few friends who are in the process of writing books and they’ve all decided on their cover art long before they’ve actually finished. I love looking at cover and album art, but i’m not talented enough to design my own! Did they? Good to know I’m not alone. I’m even looking at covers for my next WIP (which is far from finished). Agreed, browsing through cover art is fun but I’m definitely not qualified to design my own, either. Yikes! I like to make a cover very early on… it makes the book ‘real’ for me, so I work better. You know, I have never thought of designing a cover as an inspiration for writing, and I’m delightfully surprised by all the commenters who have. What a great idea! You’re joking. With all those movie titles floating around your head, I’d imagine you’d be the best with that part of it. Plus the spectacular name of your blog. Huh. I’m shocked. Heh. As you are aware, I do love spending time on my book covers, and they have a long history behind them. It does help having a cover in mind when I’m writing. Now I just need to get to the point where I can publish them! Yes. You do. And they are AWESOME. A lot of authors (I’m surprised how many) have commented that they either have the cover in mind or have it designed early on. Someone else mentioned the Pinterest board. That is cool. I'd like to see some of those. I'm going to search for a few. The Pinterest thing is great! Here’s a link to one of mine for The Beauty Thief. Getting carried away is part of the fun, no? And I think your covers are beautiful so, if they continue to get better, it’s all good for us. 😉 Thanks for the link! That is so unbelievably cool! I must get a Pinterest account soon. I’ve only been talking about it for…months? Eek. I love your board – talk about inspiration. I didn’t know you could set something up like that with your website and everything. Excellent.